​​​TEMPLE – Since it was founded in 1983, Temple-based software company Professional Datasolutions Inc. (PDI) has made an effort to invest in the community. Now, the company is starting to reap the rewards of those investments. 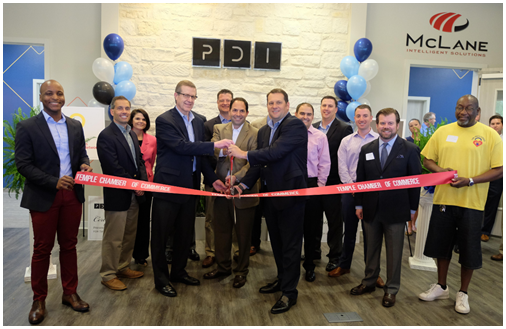 PDI showed off its new facilities and outlined plans for future growth. ​ The company has relocated from its South 31st St. location to a 33,000-sf facility at 4001 Central Point Pkwy. in Temple’s industrial district. “We’re going to have a few expansion efforts this year and we plan on going international,” Chief Executive Officer Jimmy Frangis said. ​Want more da​ta? See Killeen-Temple Overview Market Research.